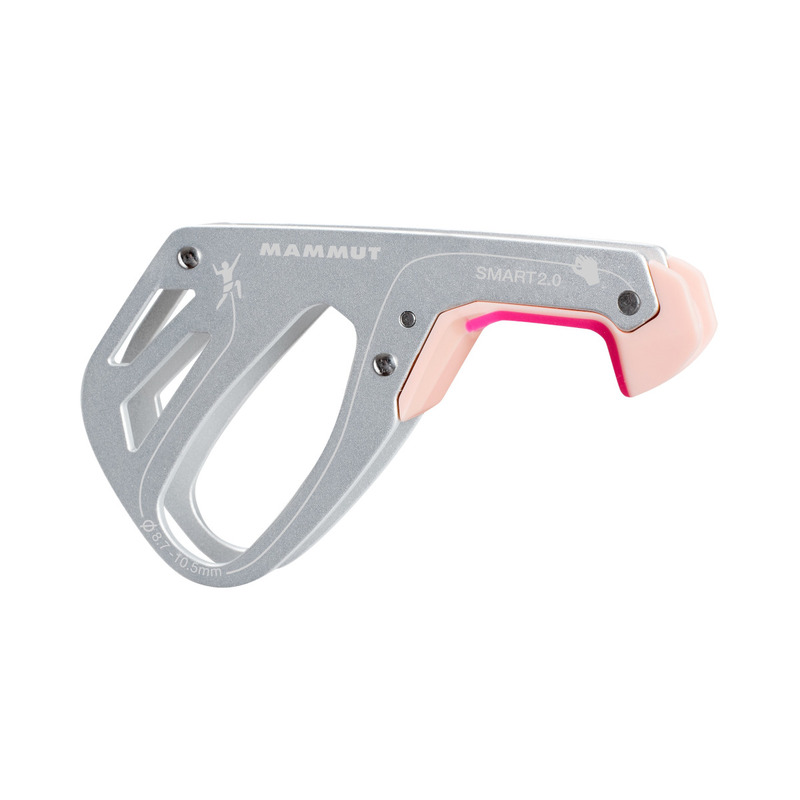 The Mammut Smart 2.0 is a lightweight assisted-braking belay device with no moving parts. Paying out rope and lowering the climber, or releasing after the rope has been blocked, can be easily controlled using the thumb handle. To increase the safety of the Smart 2.0 when used by beginners and children, the Smarter can be attached to block the rope even it is held incorrectly.